There’s little doubt that the 2003 film School of Rock starring Jack Black was a smash success at the box office and a pop-culture landmark. But who knew that Black’s maniacal, yet endearing character—screaming the falsetto howls of Led Zeppelin’s “Immigrant Song” while driving his beat-up van full of students from a prestigious prep school on the road to rock ’n’ roll fantasy—was based on a real music educator? And that the model of success created in 1998 by that musician and music educator Paul Green of Philadelphia, Pennsylvania—formed the basis of an international franchise found in 200 global markets and credited with teaching more than 30,000 aspiring musicians? 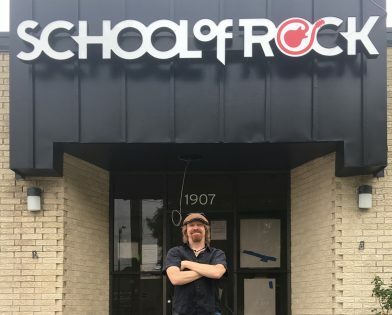 “It’s all about learning how to play music and rocking out,” says New Orleans Suspects keyboardist CR Gruver, who this month opens the first New Orleans–area School of Rock (the only other Louisiana location opened recently in Baton Rouge). In this concept, parents will buy a package for one semester that best suits their child. Packages offered include Little Wing (for ages 4–5, with a focus on group-oriented instruction), Rookies (ages 6–8, offering those who don’t have experience to learn on such developmental instruments as one-string bass basses), Rock 101 (for those with little experience, geared toward one-on-one lessons and shorter group rehearsals), and Premier, for advanced students up to age 18 and offering three-hour rehearsals. 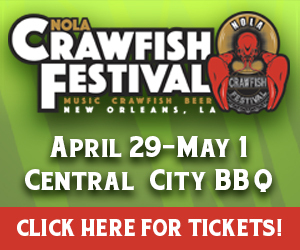 “We also offer packages for any adult that’s ever wanted to rock out in a band,” Gruver says. CR Gruver’s School of Rock (1907 Veterans Memorial Blvd., Metairie, 504.618.ROCK) celebrates its grand opening on July 14.